used in the Marquee® CRT projector product line will no longer be manufactured by our supplier as of December 1, 2016. To mitigate potential problems for our customers, VDCDS has negotiated a last time buy opportunity with our supplier and we are offering this “last time buy opportunity” to all our customers. 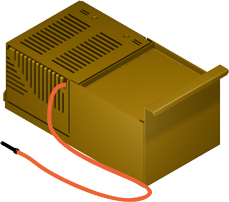 In addition VDCDS has limited supplies of other assemblies and subassemblies used in these projectors, and we like to encourage end users to provide VDCDS with future requirements to secure the availability of components that might be in short supply. Please note that the CRTs are not included in this last time buy nor are in limited supply. 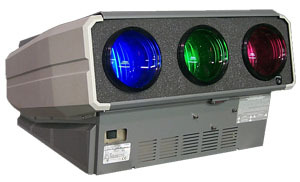 It is important that customers evaluate current and future needs to support your fleet of Marquee projectors for the coming years with all assemblies used. VDCDS will be offering repairs services for most assemblies, however the success repair rate of HVPS is very low. If requested, VDCDS can supply a current inventory list and quantity of the Marquee parts and assemblies for your review. Furthermore, VDCDS would like to offer at no charge to end users the opportunity to establish a “Customer Furnished Property (CFP)” for large inventory purchases to be kept in a secured location at our warehouse located in Cocoa Florida. VDCDS will manage this inventory, notify you when a part or parts are being requested and/or used and provide an inventory list at any time requested. If you have any questions or concerns, please feel free to contact us at VDCDS.